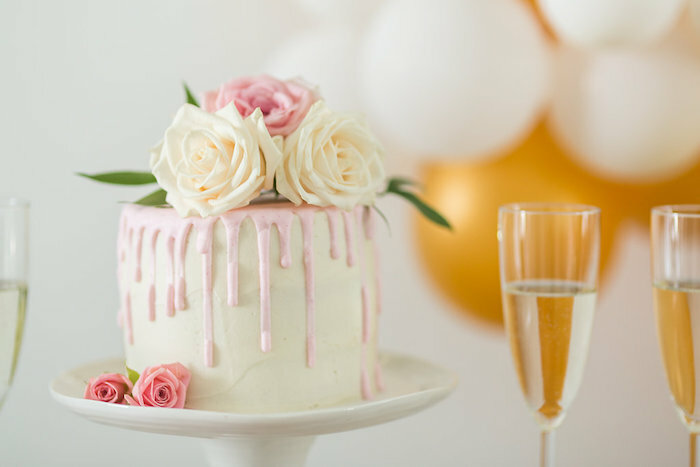 Golds, pinks and bubbly to, this Champagne Brunch Bridal Shower by Bev Soh of Hand Lettered Love by Bev, out of Port Coquitlam, BC, Canada, is positively lovely, I tell you! Filled with details charming and sweet, this event is a real treat! And a Cute Floral Drip Cake!